Relax in the hot tub with morning coffee or evening cocktail while gazing into the magnificent Umcompahgre River valley all the way to the Ouray Amphitheatre. 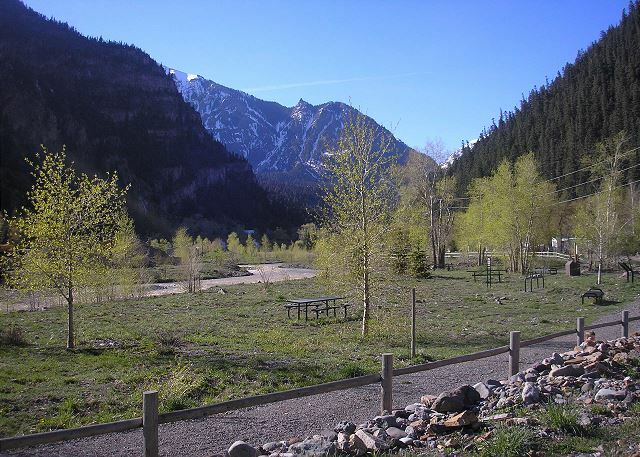 Take a short walk along the river trail to the famous Ouray Natural Hot Springs Pool, excellent Ouray art galleries, or delectable dining options. There are hiking trails within two blocks and the home is the perfect base-camp for off-roading, climbing, fishing, skiing, relaxing, or other mountain adventures. The gourmet kitchen features a natural gas Thermador Professional range, grill top, griddle and double oven. New TVs were recently installed in the Main Living Space and all 3 bedrooms and have all Direct TV channels available. We appreciated the property managent’s prompt attention to problems requiring furnace repair and difficulties with TV remotes. A lovely spot to base a houseful in Ouray. 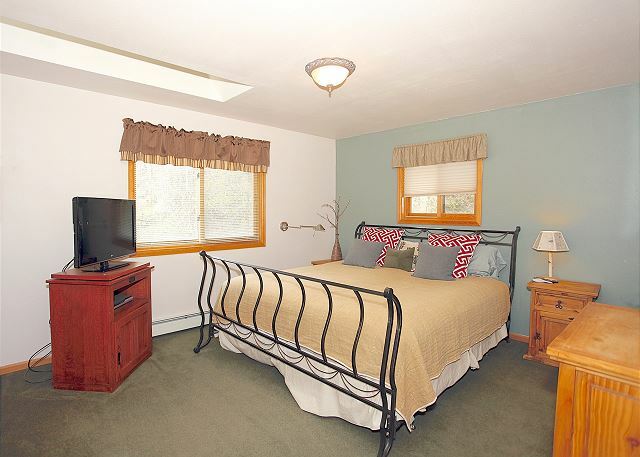 Property was clean but suggest owners replace thick pile carpeting. Hello Catherine, We appreciate your feedback and happy we addressed your concerns promptly, with good results. We would enjoy hosting you again if you find your way back to Ouray. Thank you for booking with Premier Vacation Rentals Group. All seven guests were extremely happy. We had a great, relaxing time in Ouray. The house was awesome! It was in a great location. It had everything we needed & more. Hot tub was great! View was great! 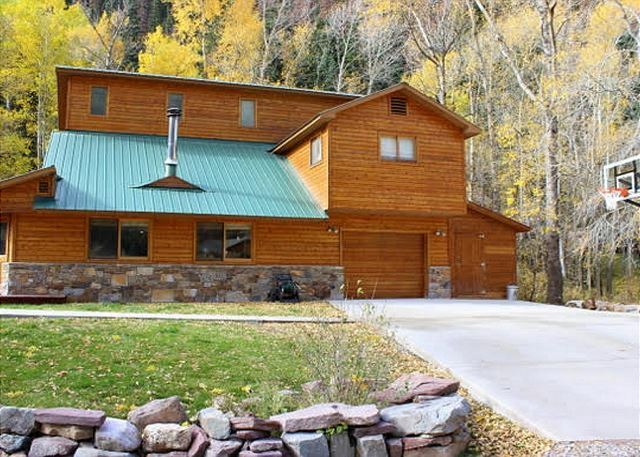 This home is perfect for your next vacation in Ouray! The kitchen is well stocked with everything you need to prepare a gourmet meal, including high-end appliances. 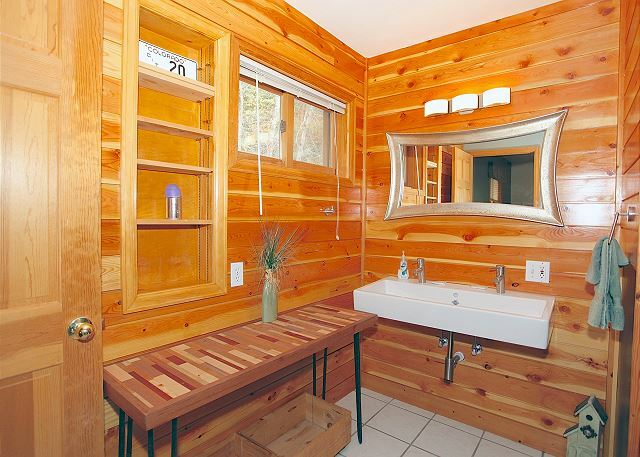 The layout is ideal for a family (or two), or a group of friends looking for a mountain getaway! 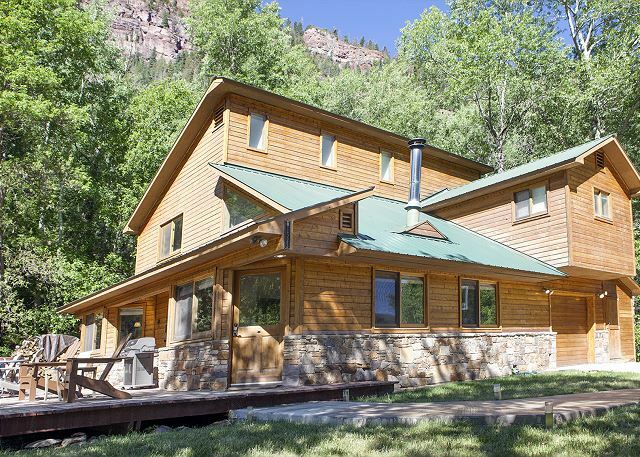 It is located minutes away from the heart of downtown Ouray adjacent to the river and the river walk trail.You can walk out the front door and be on the trail in only a few steps! After your run on the river walk trail or your climb in the ice park you can retreat to the hot tub for a little R&R. The house is incredibly clean and well decorated. Premier Vacation Rentals Group even provides luxury bath product (liquid body soap, shampoo, conditioner, and lotion), which is a huge plus! The products are like nothing I’ve ever seen before! The management staff was awesome! Easy to work with and helpful when needed. The best part is you can book the home directly on Premier Vacation Rentals Group’s website. The process is seamless! 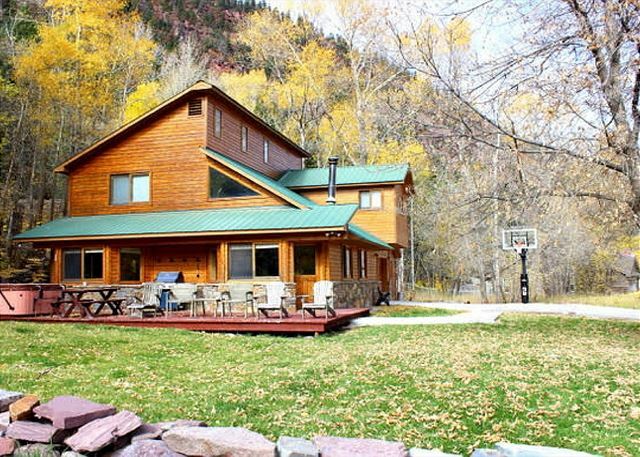 All in all we had wonderful stay and would recommend this home to anyone traveling to Ouray in search of a mountain getaway!! Thank you for your stay. It was a pleasure having you as our guest and thanks so much for taking the time to write a review about this great property. 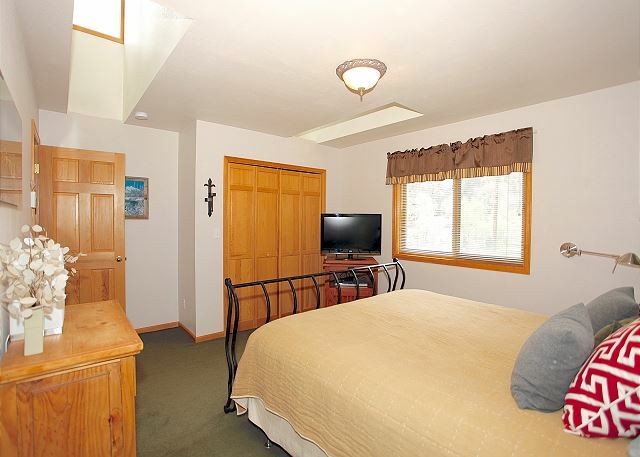 We hope you choose Ouray Premier Vacation Rentals the next time you are looking for a vacation rental.